Well said, Mr. Pavarotti. And yes, yes it is. I didn’t have to go to Thailand to fall in love with Thai food. It’s always been a favorite. Thank Buddha, in Thailand it was better than I’d even dreamed! Multiple flavors in every bite, all fresh ingredients, brightly colored concoctions – with proteins and grains taking a serious backseat to nuts and exotic fruits and vegetables. My kind of eating. 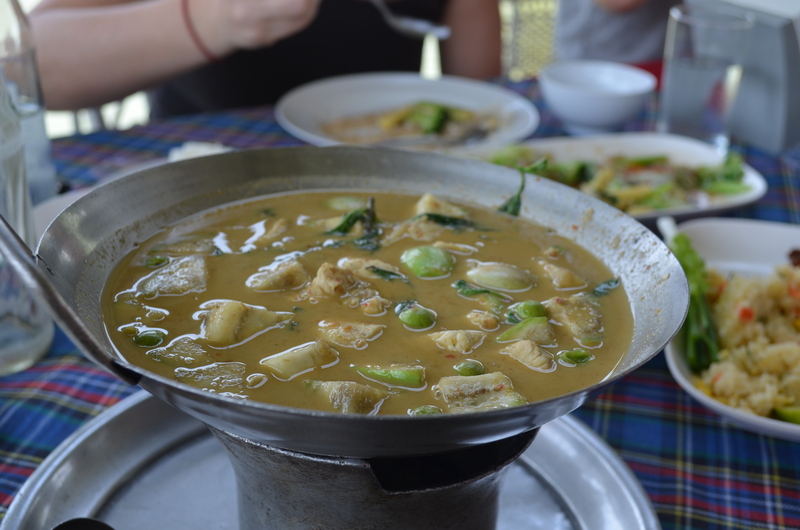 Guy’s favorite Thai foods include curry, while mine include coconut or coconut milk, or both. 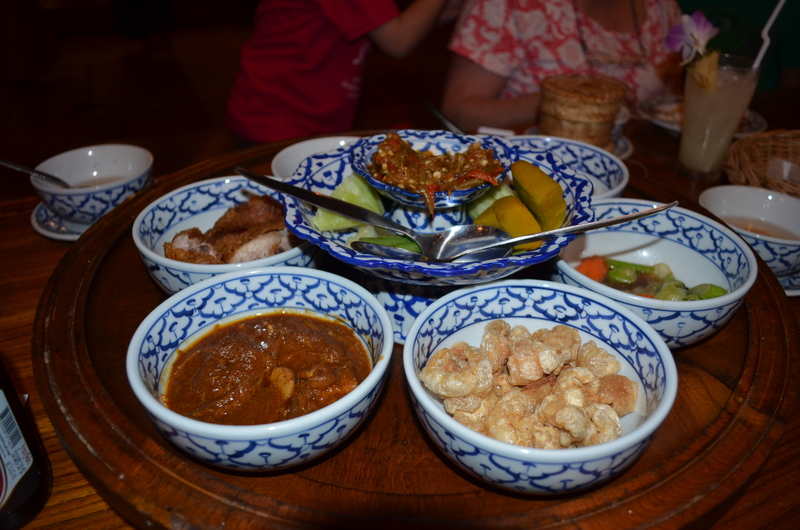 While visiting Thailand, we never ate the same thing twice and often shared dishes. We ate a lot. And often. And did I mention a lot? 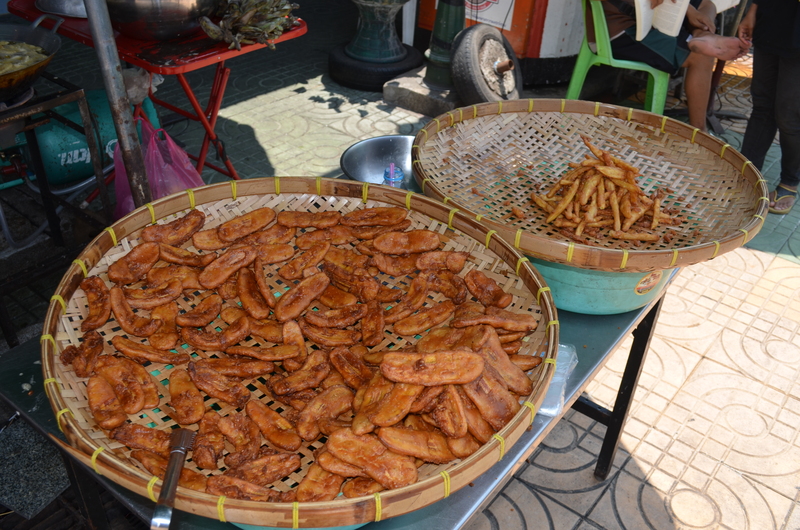 If you avoid the street food you'll miss out on the fried bananas. And that would be tragic. 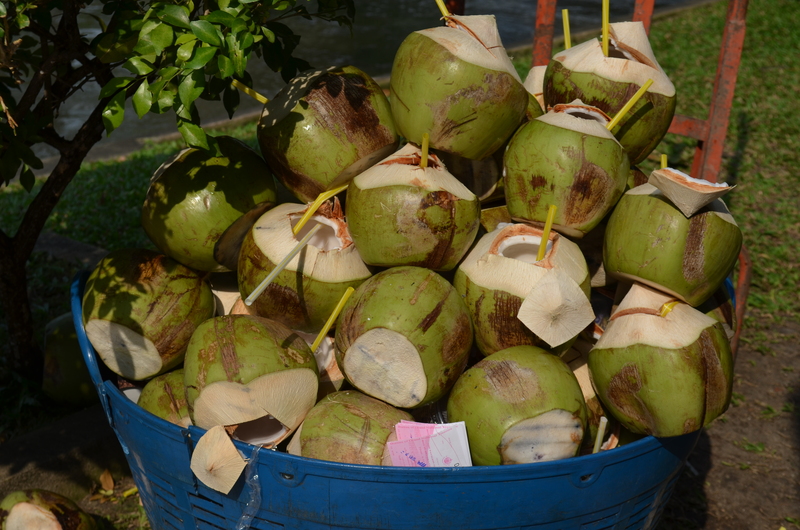 Fresh coconut milk on a hot day? Yes, please. 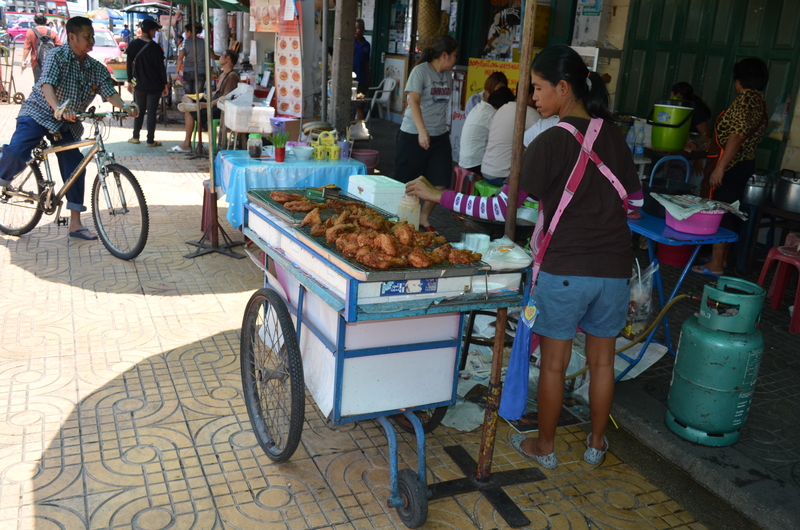 Fried sidewalk chicken. I say go for it! This particular fish, however? I opted out. The flies chased me away. Common sense, I tell you. 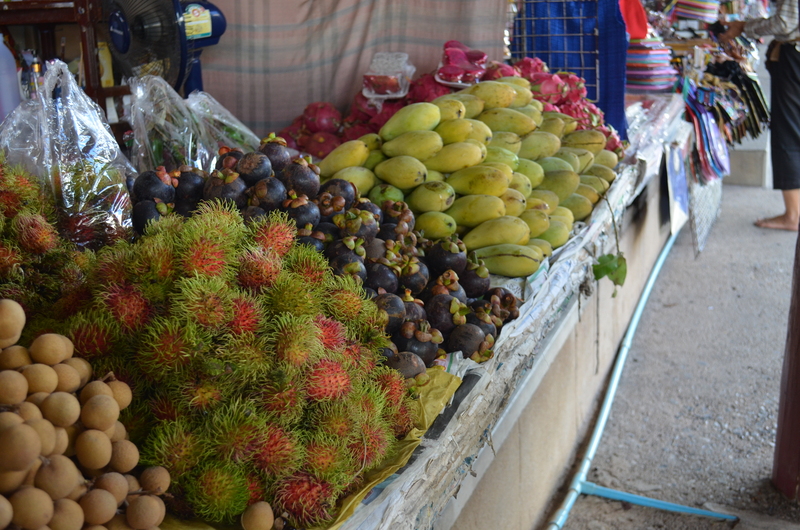 DIVINE fruits: sapodila, rambutan, mangosteen, papaya or mango, and dragonfruit. Bugs are always a safe bet, too. Sometimes chalky, but safe! 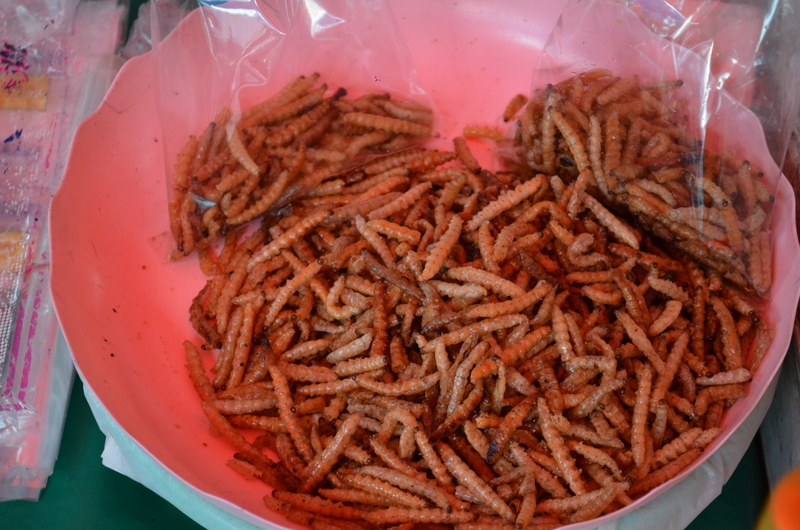 Larvae is also safe. So I hear. The vendor wouldn't let us try these. And we didn't want a 1/2 pound bag full. So. I’m a huge supporter of going right ahead and eating Thai street food. I’m jinxing myself, but I’ve never so much as had a wave of nausea eating or drinking in a foreign country. Yes, I know it happens. No, I don’t want to hear the horror stories. Then again, the restaurants are equally incredible. I have never been happier to eat out every single day, for breakfast. Second breakfast. Lunch. Dinner. And snacks. And desserts. And coffee. Miraculously, I didn’t gain an ounce. 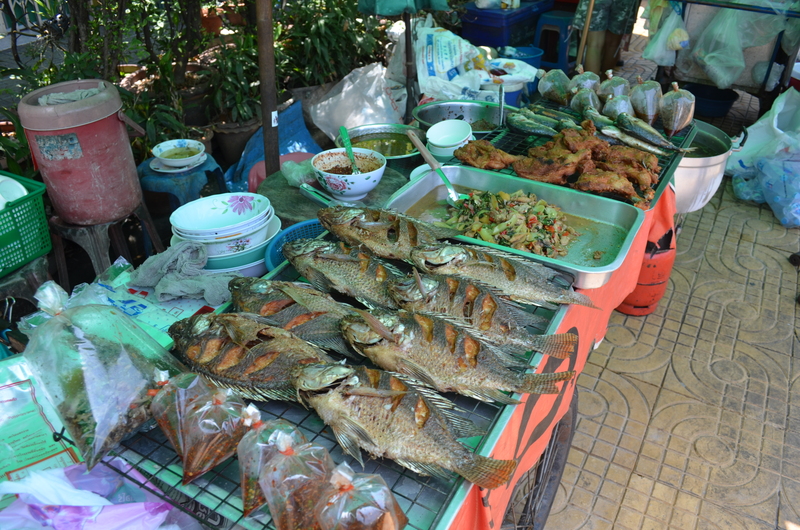 Thai food is among the healthiest in the world (the fried bananas notwithstanding), and we took advantage of our time to swim at the hotels and walk a lot around the cities, too. If I had stayed another month, maybe I’d have gained weight and be looking more like the famous tenor quoted above. 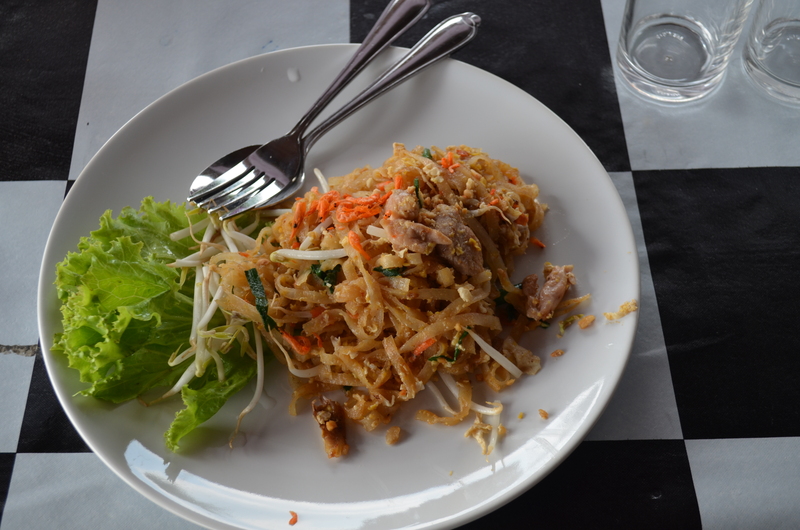 I promise you, I’d still be singing the praises of Thailand’s cuisine. Little bites of lots of things = perfection. I don't even know what this is. Except De.lic.ious. Pad Thai. In THAILAND. Does it get any better? Oh just stop. 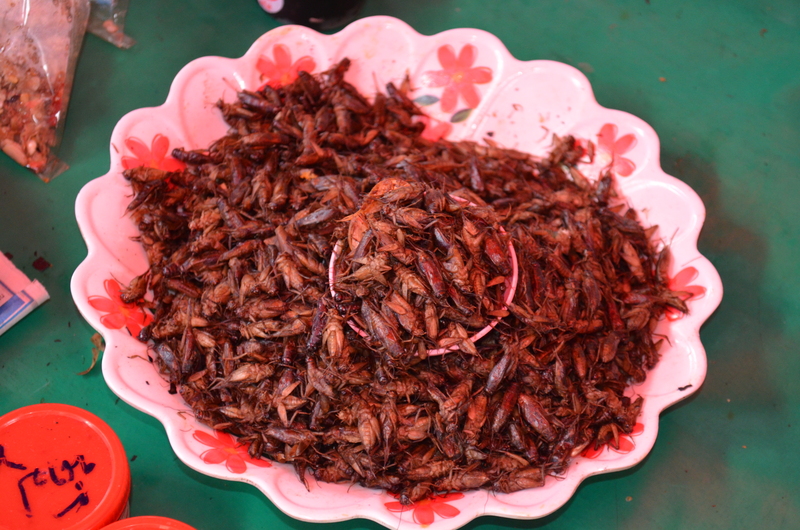 Except for the larvae, the bugs and the fly-specked fish, I am GREEN with envy and would have eaten everything with you. Thailand on my bucket list! Then let’s go together. This time to Phuket, because though it’s actually pronouned PooKet, it SO doesn’t look like that. Thailand was the most welcoming place I have ever visited, and having been to Spain, that’s really saying something. Yum, yum and more yum. Eating is an integral part of vacationing! Yes! And I bought a cookbook, so you guys, too, can enjoy when I cook for you on FAC days and for book club! Never deny yourself one bite whilst travelling, I say! Our trip to NYC was also quite food-heavy, but I don’t think we managed to “not gain one ounce” in THAT particular culture. And I’d eat it all again, given the chance. Bon Apetit! What was your favorite? how long did you stay in NYC? I hear you’re headed to Alaska this year? Woo hoo!